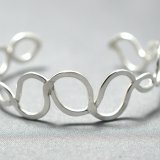 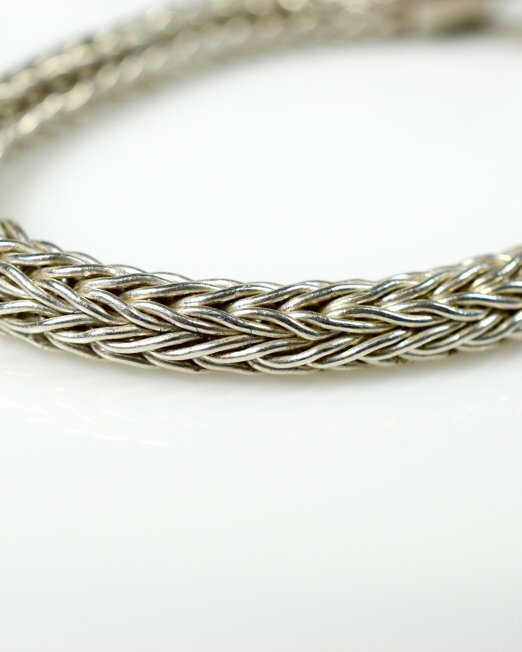 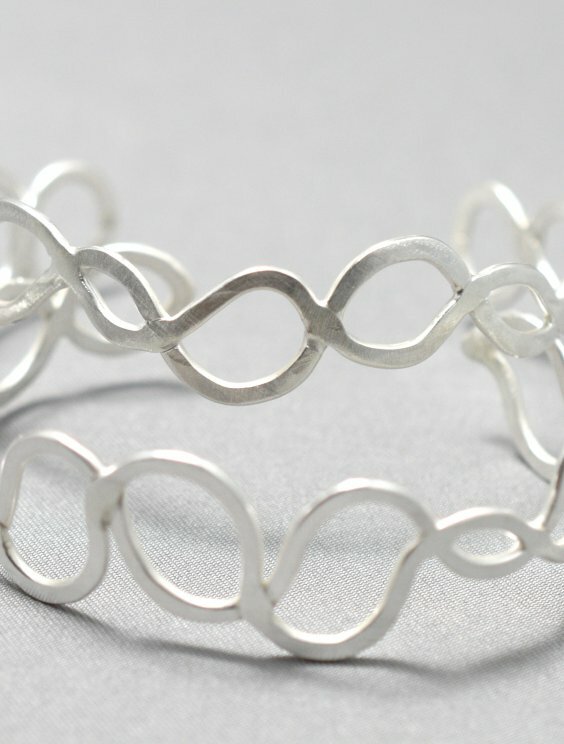 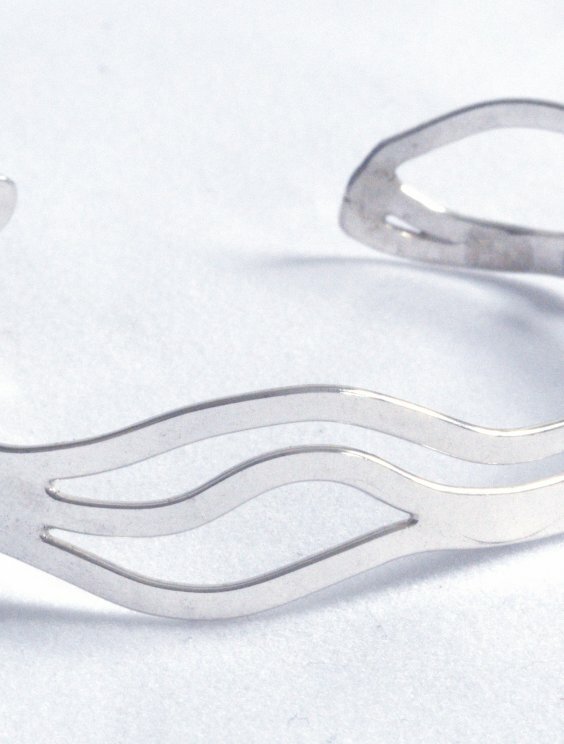 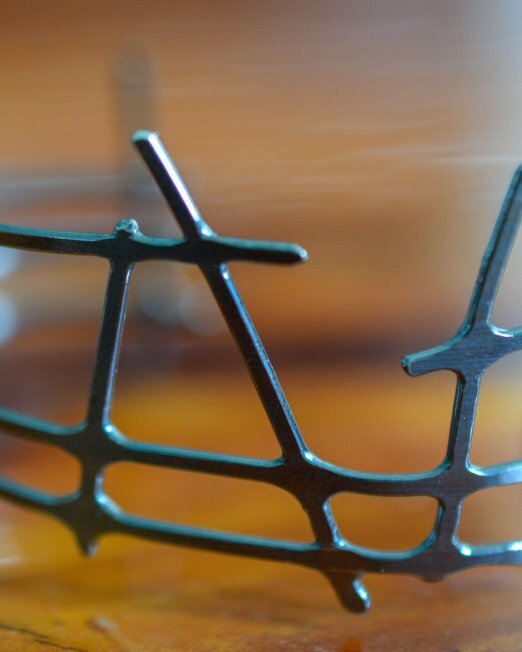 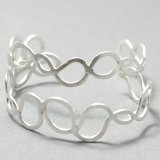 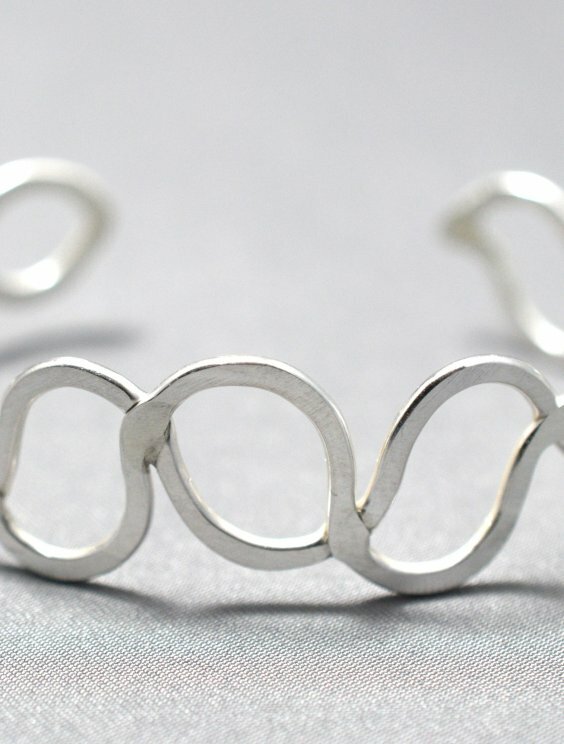 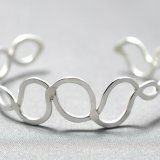 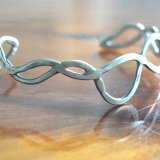 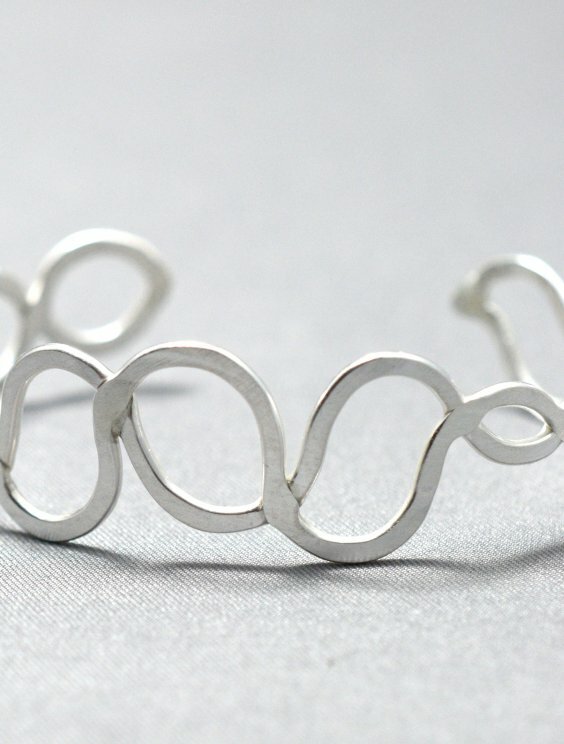 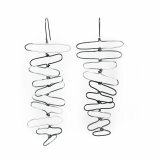 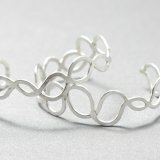 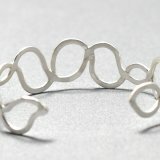 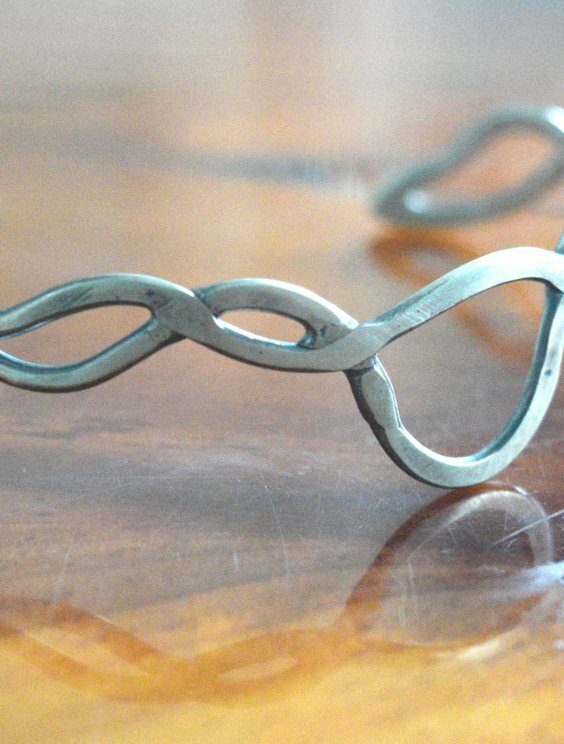 Thin silver wires have been hand beaten and gently shaped to create a wavy pattern. 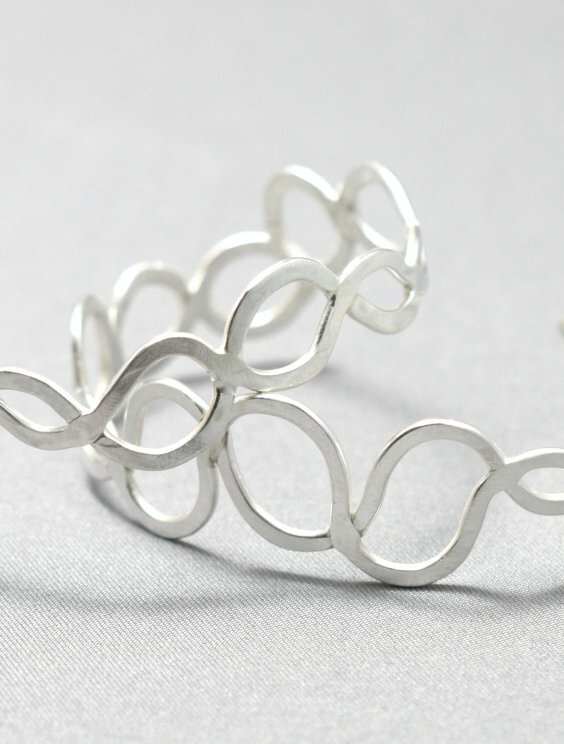 The entwined wires criss-cross each other forming a hypnotizing helix like pattern of this broad wrist cuff that is designed for everyday comfort. 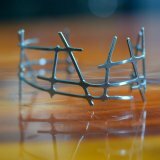 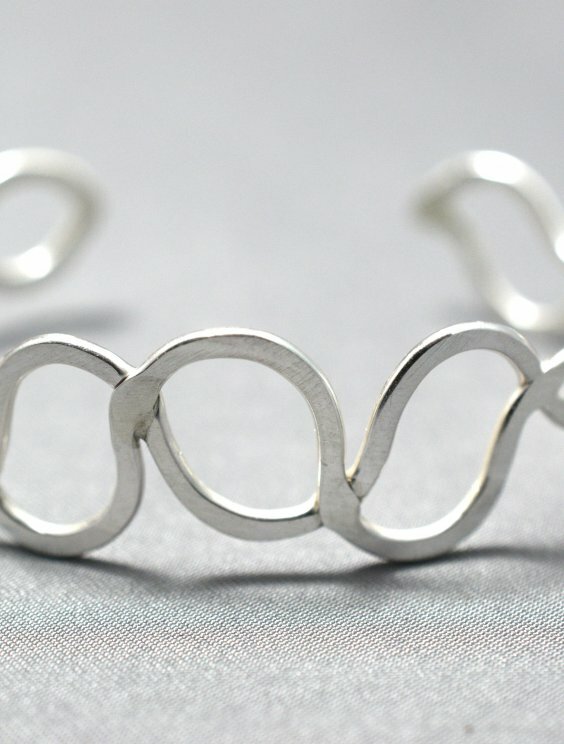 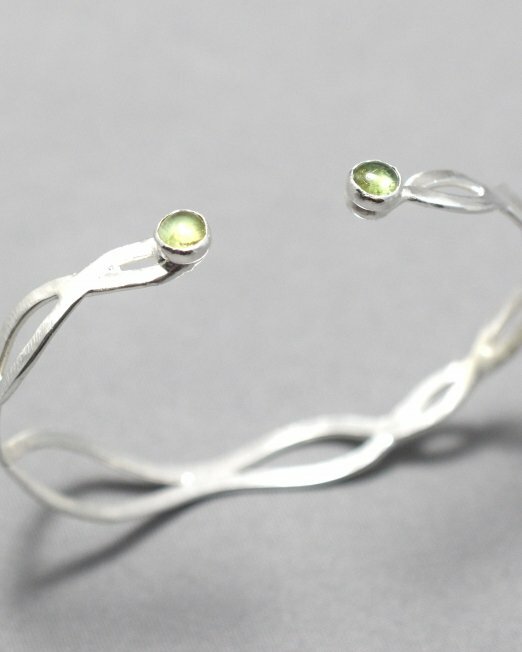 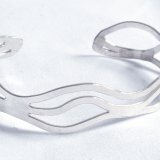 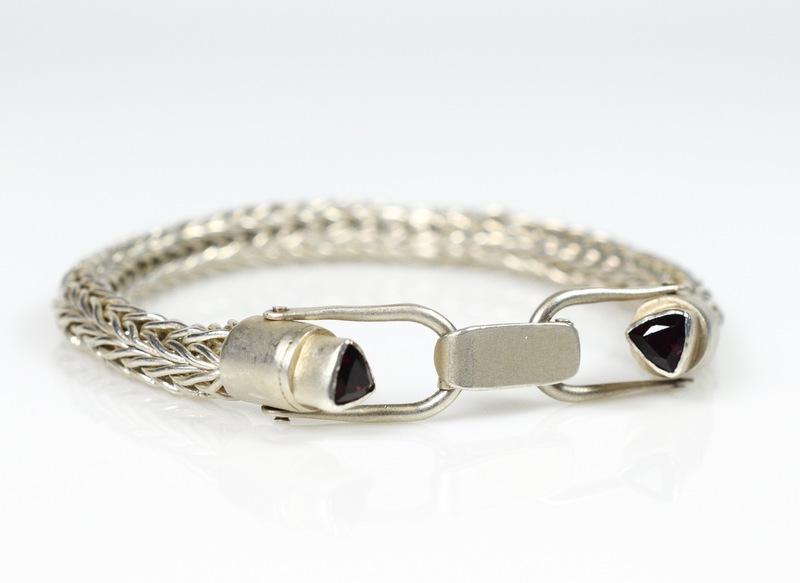 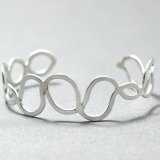 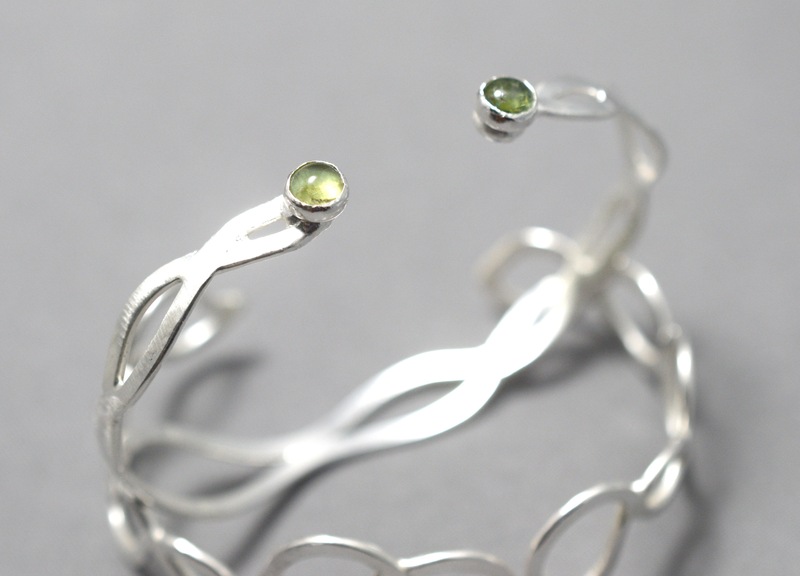 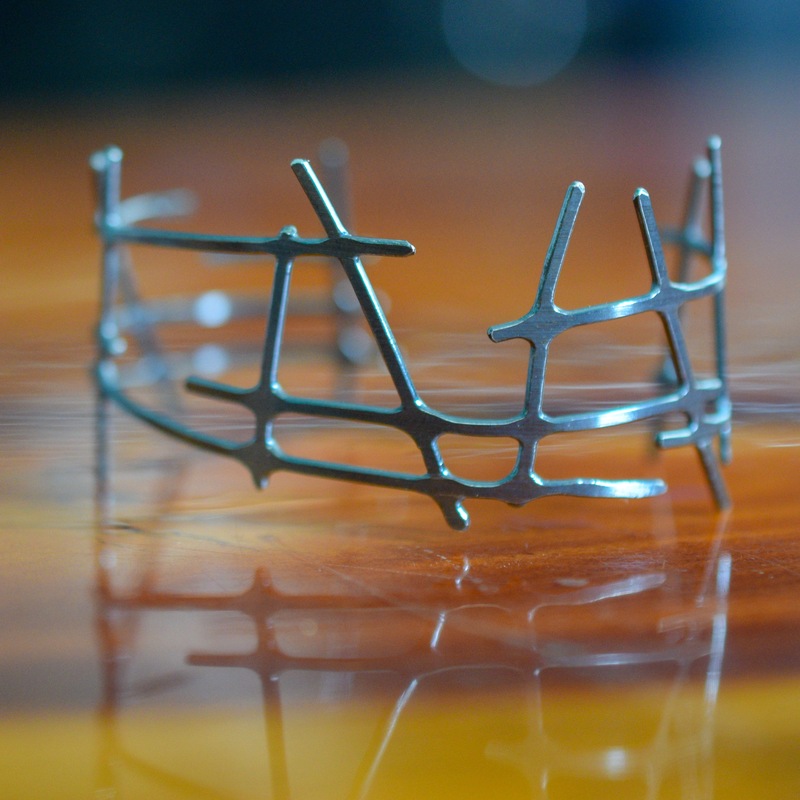 This Cuff design is made to order from thick 14 gauge sterling silver wire. 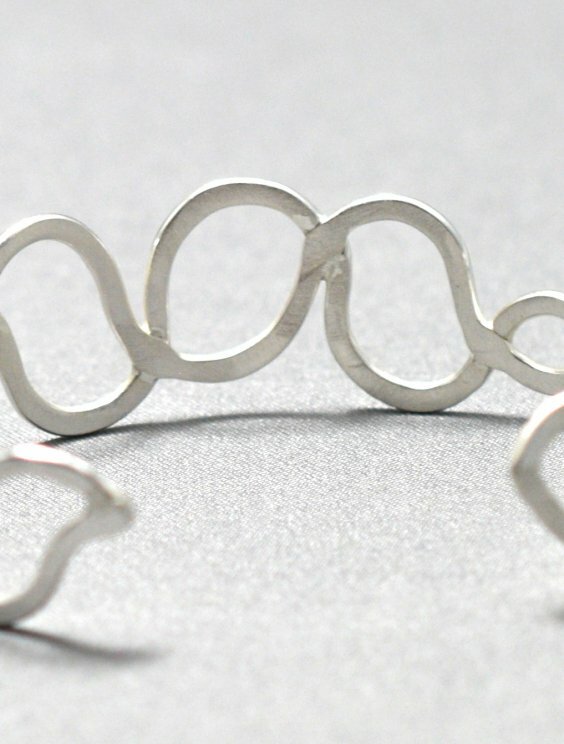 Sturdy, comfortable, and stylish. 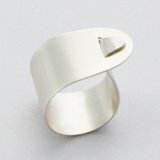 Indicate your wrist size to ensure a perfect fit.